Dodgeball, the classic schoolyard sport of intense teamwork and physicality. 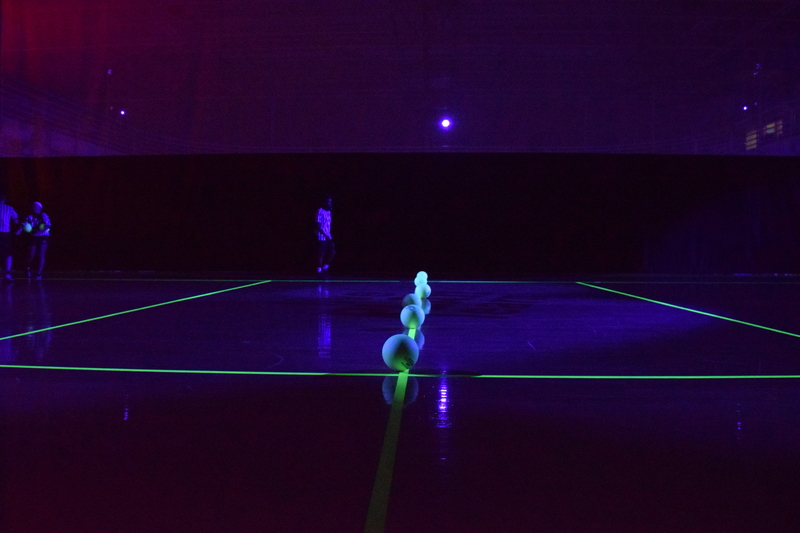 While typically seen in gym class or on the playground, Rowan’s Student University Programmers (SUP) partnered with the Rec Center to kick off Color Me Rowan Weekend 2017 with a twist on the traditional game – Blacklight Dodgeball. With over 300 students checked in and 20 teams participating, according to SUP, the stage was set for a night of high energy and competition. 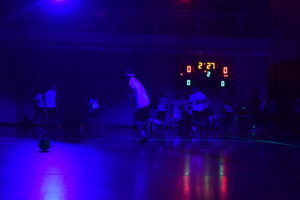 The tournament was organized in a double elimination bracket system, allowing teams that lost early on the chance to still have some more fun out on the courts. “All of our events are special in their own way,” said Maddie Elliott, director of special events for SUP. As the night progressed, many teams rose the ranks to ascend to victory, but for every victor, another team was sent to the losers’ bracket, and eventually back home. 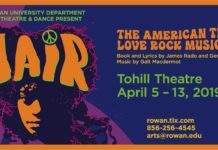 Certain teams represented organizations on campus, such as the Chamberlain Student Center and Campus Activities (SCCA). Senior civil engineering major Luke Butler works as a building manager for the SCCA and noted the novelty of this particular event. 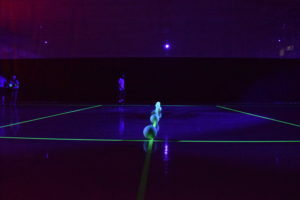 “I’ve never done anything like this before and I really wasn’t quite sure what to expect but it just adds a whole other element, this contrast between the light and dark,” Butler said, noting the difficulties he had playing in the darkened gym alongside his SCCA team members. 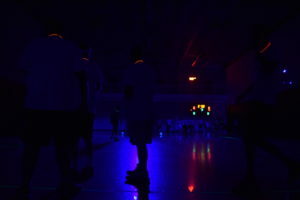 At the end of the night, victory belonged to one team only – The Dodgefathers. Hunter Barbieri, a freshman exploratory studies major, reflected on his team’s victory at the end of the night.